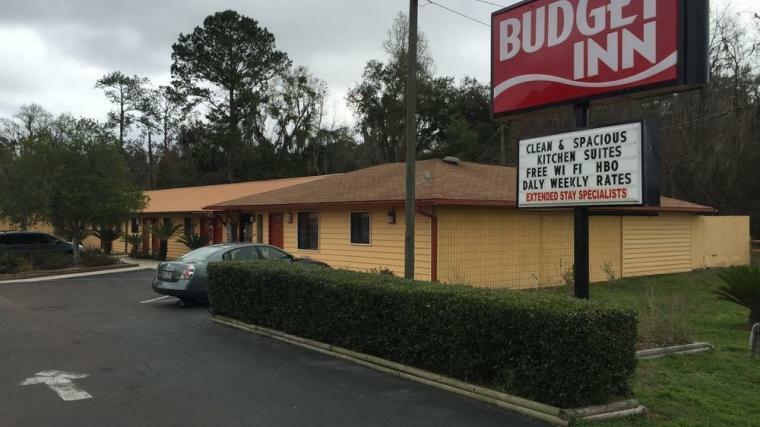 This Gainesville, Florida, motel is 2 miles from University of Florida’s 2,000-acre main campus. Guests of this Budget inn can enjoy free Wi-Fi and a 24-hour front desk. All accommodations feature a full kitchen and sitting area with a sofa bed. Budget Inn Gainesville rooms include a cable TV with HBO movie channels as well. Guests will have the convenience of an on-site laundromat. Snack and beverage vending machines are also available. The motel is less than 8 miles from The Oaks Mall and 12 miles from AutoPlus Raceway. Guests can also explore Florida’s Civil War era history less than 15 miles away at Dudley Farm Historic State Park.